Quest of the Keys was the recipient of a $5,000 grant from State Farm to fund the launch of the national pilot of the Quest of the Keys’ character development program. The program, which is built around the fantasy fiction novel “Quest of the Keys” by Scotty Sanders, teaches character development and life skills to middle school and high school students. At State Farm, we believe all children deserve an education that will help them reach their greatest potential and prepare them for life. Non-profit organization Quest of the Keys was the recipient of a $5,000 grant from State Farm for the pilot of a character development program built around the young adult fantasy fiction novel, “Quest of the Keys” by Scotty Sanders. While the book has been used as ELA curriculum by middle and high schools across the U.S. and abroad in past years, the Quest of the Keys nonprofit was founded to provide character development resources to a greater number of schools and other institutions. 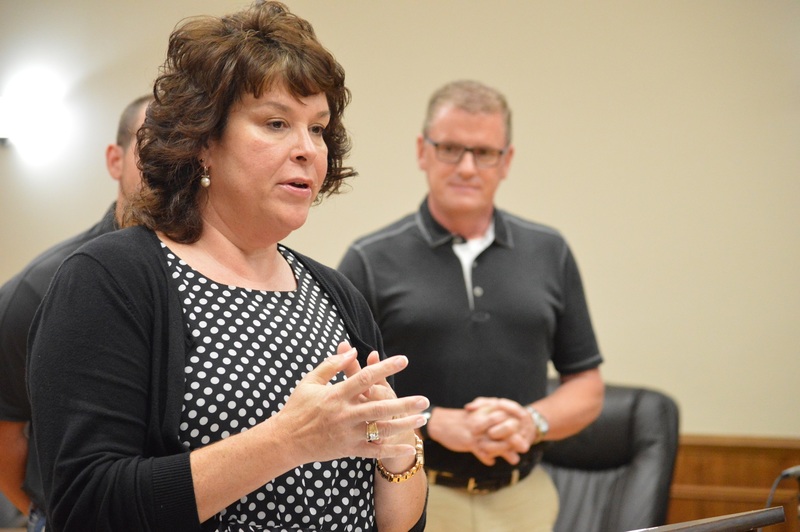 The pilot program in Ouachita Parish, Louisiana, will allow progress monitoring of students to give educators the information they need to successfully implement the program in their own schools and programs. 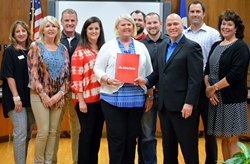 State Farm focuses charitable grants on non-profit initiatives that build safer, stronger, and better educated communities. There were 26 Northeast LA State Farm agents represented by the donation. 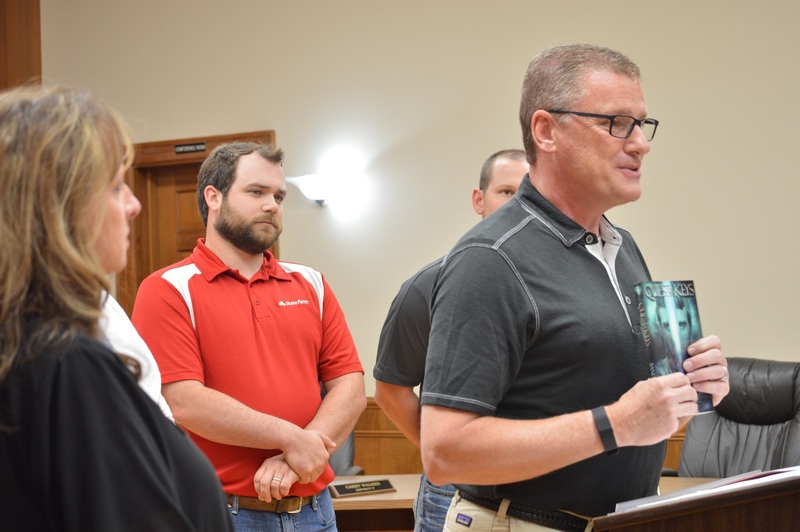 A ceremony was held at the Ouachita Parish School Board office where a check was presented to Quest of the Keys Executive Director, Scotty Sanders, on behalf of State Farm to fund the Ouachita Parish pilot program. 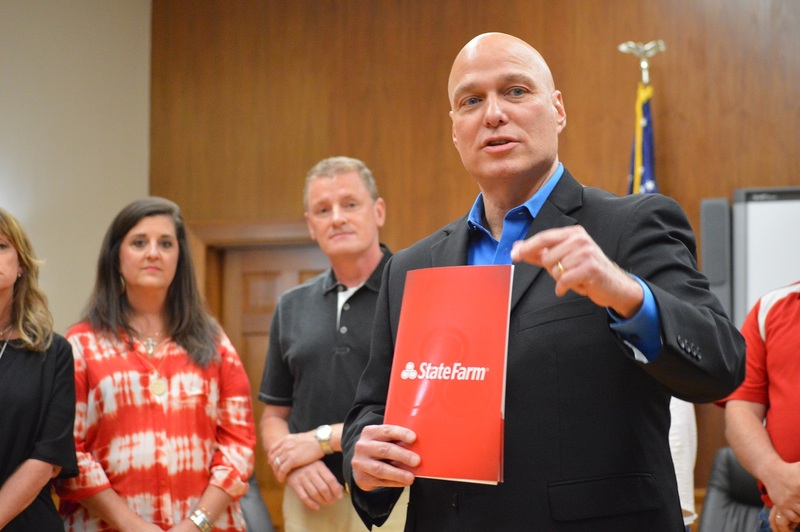 The State Farm agents on hand were Blake Wheelis, Peggy Sullivan, Kim Duke, Paulen Luttgenharm, Pam Accardo, Jordan Williams, and Greg Manley. Other partners of the Quest of the Keys initiatives are Energy Hydraulics, SkyRider Communications, Worlds of Wow and LifeCatalyst. For more information about the Quest of the Keys organization, go to questofthekeys.org. Quest of the Keys is a nonprofit organization that provides character development resources to schools and other institutions. Their mission is to provide relevant character development resources to empower the next generation. There are over 17,000 Quest of the Keys books in print, thousands of e-books have been distributed and an audio book is available through Amazon. Approximately 35 schools over the United States are presently using the books and hundreds of educators have read Quest of the Keys in preparation for classroom use.